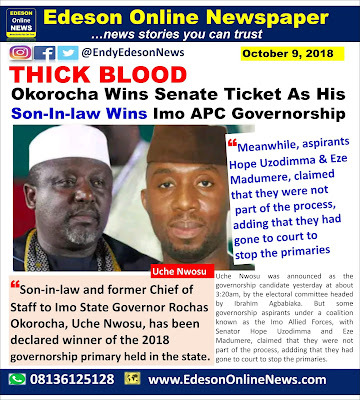 SON-IN-LAW and former Chief of Staff to Imo State Governor Rochas Okorocha, Uche Nwosu, has been declared winner of the 2018 governorship primary held in the state. Rochas Okorocha and Uche Nwosu Nwosu was announced as the governorship candidate yesterday at about 3:20am, by the electoral committee headed by Ibrahim Agbabiaka. But some governorship aspirants under a coalition known as the Imo Allied Forces, with Senator Hope Uzodimma and Eze Madumere, claimed that they were not part of the process, addding that they had gone to court to stop the primaries. However, Agbabiaka, while declaring the results said that all the nine governorship aspirants participated in the excercise. He gave their names as Chuks Ololo, George Eche, Uche Nwosu, Deputy Governor of Imo State, Eze Madumere and Senator Hope Uzodimma. Others are Air Commodore Peter Gbujie(rtd), Chima Anozie, Jude Ejiogu and Chris Nlemoha. According to results announced by the chairman of the electoral committee, Nwosu polled 269,524 votes to emerge winner of the heated contest, while Ololo and Gbujie followed with 6,428 and 4,855 respectively. 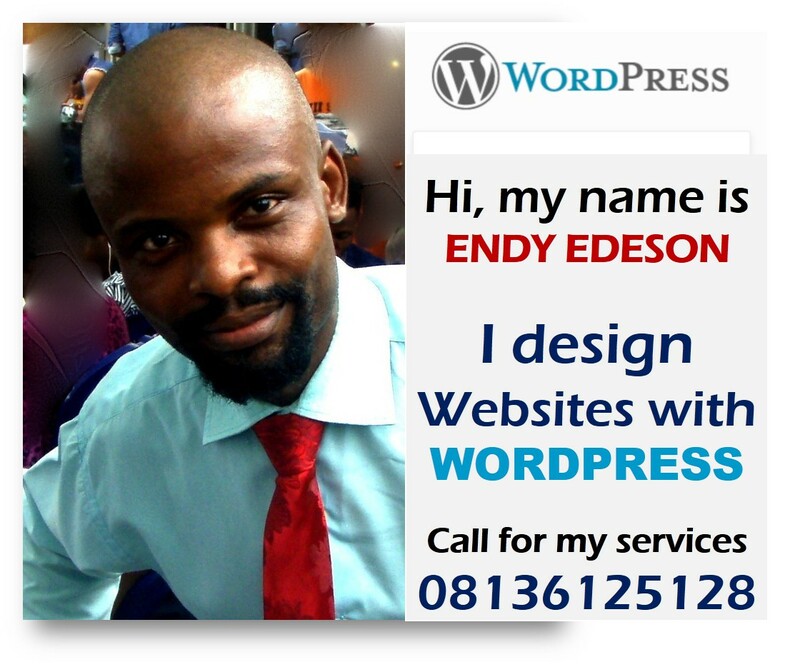 Other contestants polled as follows: Eche 2,454; Madumere, 2,646; Uzodimma 2,729; Anozie 3,248; Ejiogu 3,456; and Nlemoha 925. 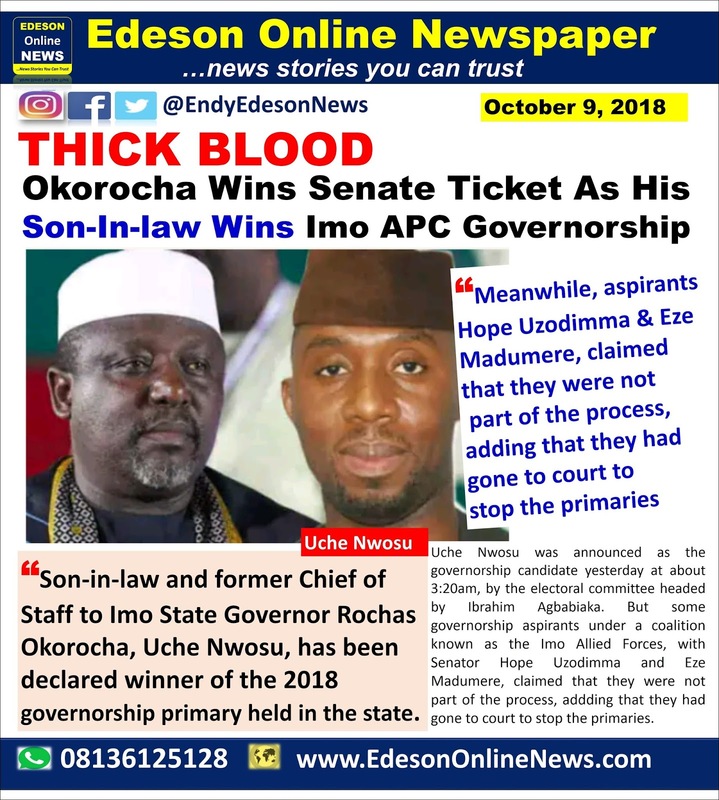 For the Imo West senatorial district, Okorocha garnered 141,127 votes to defeat Senator Hope Uzodimma, who polled 1,359 votes and Senator Osita Izunaso, 24 votes. In Imo North, Nnamdi Obiaraeri polled 67,438 to win the senator currently representing the zone, Benjamin Uwajumogu, who polled 5,743 votes. 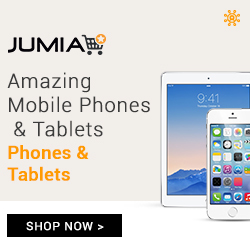 Also, in Imo East senatorial district, Emma Ojinere floored the other two contestants with 41,562 votes. He defeated Chima Anthony and Maxwell Igwe. Our brothers from east? We say all you ur write up about tinubu/ambode but we have not been seeing you writing anything about Imo. Isn't this worst than tinubu? 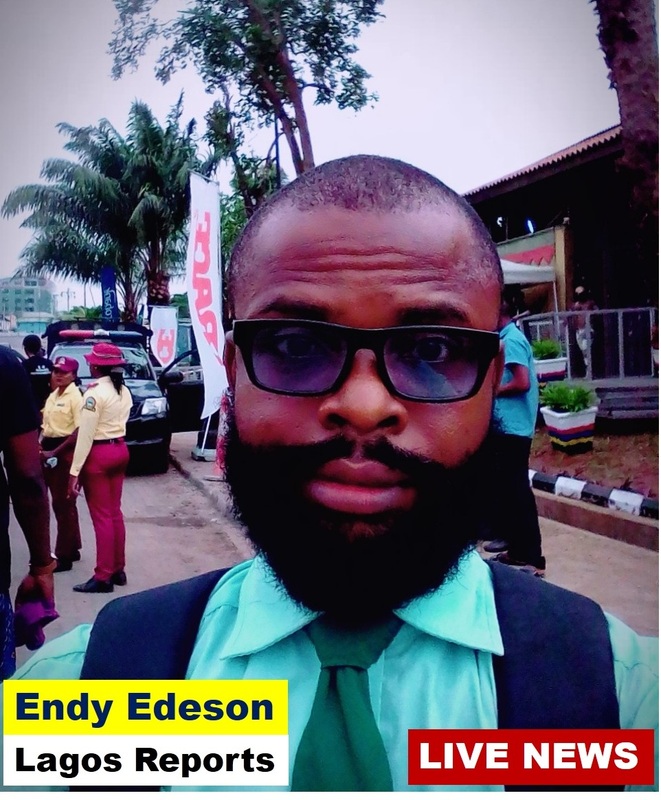 Endy Edeson. Okorocha eastern tinubu my foot. Apc only have influence in imo, ph, etc. But not in anambra. That's why I luv my state anambra. We'll neva gv em dat chance. Sometimes, I don't understand the Igbos. They will lambast the Yorubas for allowing themselves to be pushed around by Tinubu but one man, Rochas is playing God and they are helpless.